Over the past decade, The Luncheon Society ™ has gathered with many who appear as guests on cable talk shows when we meet in New York, Los Angeles, or San Francisco. When they join us, you realize just how claustrophobic basic cable can be; when they’re able to open up and talk at length, it’s like uncorking a great bottle of wine, the kind you hide until the time is right. Perhaps the food, drink, and the relaxed nature of those around the table offers a chance for them to share what’s really on their minds, if only television gave them enough time. They are often rambunctious affairs. Several years ago, it was a Luncheon Society gatherings with Christopher Hitchens that started at a San Francisco restaurant before we all decamped for an open air bar where everybody smoked, drank, or did a little of both. 48 hours before the 2008 California Primary, Fox Contributor Lanny Davis squared off between the Obama and Hillary Clinton supporters, who were crowded together at either side of a long table at Town Hall Restaurant in San Francisco and went after each other with rhetorically sharpened knives. Last year in New York, where Jimmy Breslin held court late into the night, he bemoaned Times Square’s lack of hookers and transients with that familiar raspy voice, the one I heard in my mind’s eye, back when I read his columns in The New York Daily News. MSNBC’s Lawrence O’Donnell has joined us as a main speaker in the past but also has visited when others spoke in Los Angeles. 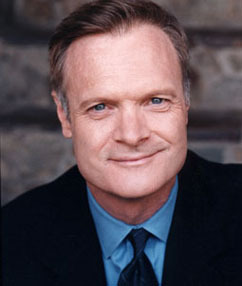 O’Donnell is a frequent guest on Keith Olbermann, Chris Matthews, Rachel Maddow and the rest of the MSNBC stable; he often guest hosts.